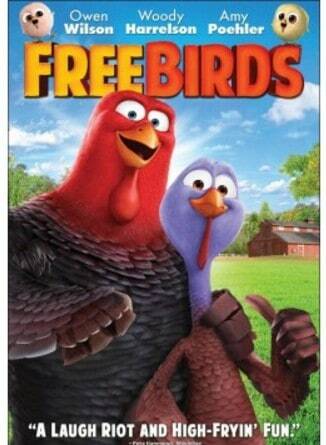 For a limited time at BestBuy.com, you can get a Free Birds on DVD for only $3.99! This is a great set to add to your family movie night movie collection! A fun family movie to watch over the holidays! From the Academy Award(R)-Winning producer of “Shrek” comes a hilarious animated adventure about two turkeys from opposite sides of the tracks who travel back in time in order to keep their species off the Thanksgiving menu. Featuring an all-star voice cast, including Owen Wilson, Woody Harrelson and Amy Poehler, “Free Birds” is loaded with laughs and stuffed with fun for the whole family.